An ameoba gets its food by surrounding the prey with its pseudopods. It moves with its pseudopods. 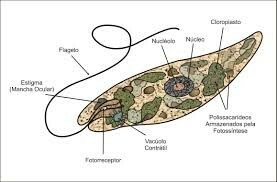 It reproduces with binary fission. It responds to its enviorment when it turns into an assiste when conditions are bad. 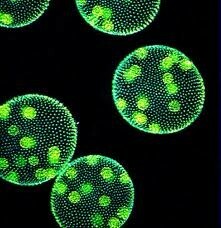 A volvox gets its food with photosynthesis that makes its own food. 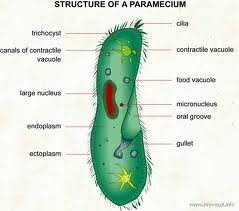 It moves with its flagella that beat together to create movement. 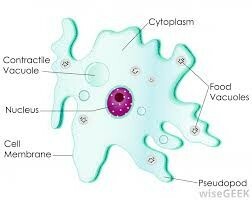 It reproduces by the parent releasing the daughter colonies. It responds to its enviorment by a one celled algea that lives together in a colony.